A highly versatile product, Ultra-Screed fills voids, shallow potholes, ravelled surfaces, lane joints and most surface course defects. 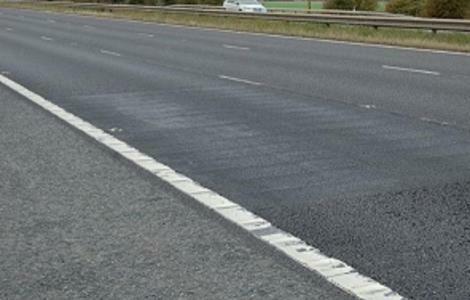 It is used for pre-surface dressing patches and screeded in layers to fill minor potholes. Ultra-Screed is suitable for use on all asphalt and concrete surfaces and all categories of roads. For larger/deeper pot-holes, we recommend the use of “PRE-PATCH” a hot applied patch repair compound to fill the pot-hole followed by an application of ULTRA-SCREED to seal the surface and provide a skid resistance surface. Ultra-Screed is a unique blend of resins, high PSV aggregates and polymers. It is hot applied and results in an impervious, impact resistant and load bearing repair. Ultra-Screed remains slightly flexible and leaves a high friction finish that is able to withstand heavy traffic. The defects and the surrounding area are cleaned and dried using hot compressed air. Any repairs in concrete must be primed with Crete- Prime. Ensure the primed surface is cured (approximately 15 minutes) before application. Bags of Ultra-Screed material and pigments are emptied into a mixer and heated to 185±10°C with constant agitation to ensure complete mixing of the materials. The hot Ultra-Screed material is applied to the defective area using a screed mould. If the defective area requires pre-filling prior to the final screed then the void should first be filled with Ultra-Screed in lifts not exceeding 20mm. Additional layers may be built up using this method to leave a suitable level for the final screed. The final screed must be applied to ensure adequate skid resistance. Cure time is approximately 30 minutes depending on ambient temperature and the depth of the repair. During the curing period no disturbance or trafficking of the material shall be permitted.